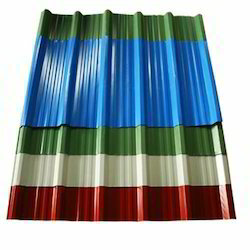 We offer Pre Painted Galvalume Roofing Sheets to our clients. These are Hi-Tensile Steel Sheets having Pre-Coloured Finish and Polyester Coatings are the new faces of industrial sheds in this era. 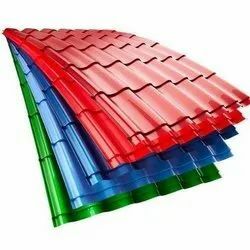 Our company is highly esteemed in offering Color Coated Galvalume Roofing Sheets to the clients. These products are designed using a high-grade material as per the set industry norms and standards. The offered range is available in different colors and designs as per customer's requirements. Color Coated Galvalume Roofing Sheets are checked on strict quality parameters so that only best quality sheets get delivered at customers' location within the committed time-frame. These products are immensely used for the purpose of decorating diverse commercial and residential applications. 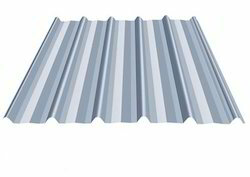 We provide Bare Galvalume Roofing Sheets to our clients at the industry leading prices. These sheets are Hi-Tensile Steel Sheets, having Non-Colored Finish, though the Polyester Coatings are rarely seen on application but widely used to cover industrial sheds. Due to our in-depth experience in this domain, we have been able to offer high-quality Galvalume Roofing Sheets to our valuable customers. Manufactured in compliance with the international quality standards by using advanced machinery, these roofing sheets are known for their durability and resistance to corrosion. For ensuring a zero defect range, these sheets are checked on various quality assurance parameters. 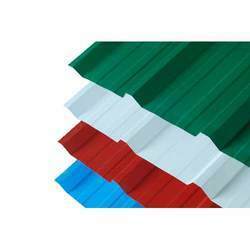 Looking for Pre Painted Galvalume Roofing Sheets ?